What will the Queen have to say? The Queen’s Speech next Wednesday (4 June) will set out the Government’s legislative programme for the 2014-15 Parliamentary session, so what can we expect? 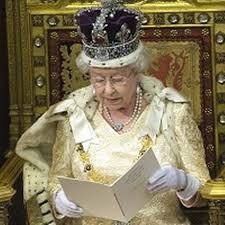 This is the last Queen’s Speech and parliamentary session before the 2015 General Election. It will help to determine the political battles ahead and the nature of the last 12 months of the Coalition Government as we enter unknown territory; with the Coalition beginning to unwind in the lead up to facing the electorate, as two separate political parties, but with a joint record in Government. In the meantime political commentators will be looking for signals from the Coalition parties characterising their reaction to the recent European and local elections; though firm legislative proposals cannot be magic out of thin air. So in the short term those signals will be fashioned from what is available. So far intelligence on what might be included in the speech has been somewhat limited. A number of commentators have observed that the legislative programme in the next session will be thin and lacking in controversial measures. The Labour Party has dubbed it a “zombie” Parliament; with critics (according to the BBC) which include Conservative MPs, claiming there is little to do because of a lack of new legislation; a product they say of coalition differences. That maybe so, and the Coalition’s mid-term review (published back in January 2013) did nothing to replenish the well of legislative proposals. But it also reflects the political philosophy of the Conservative Party not to over use the legislative tool. That is not to dismiss Coalition politics. For instance the Coalition Agreement had promised MPs would be given a free vote on scrapping the Hunting Act; however,David Cameron has concluded that there is no point in holding a vote before the General Election as most MPs support the current hunting ban; while the Conservative leadership would dearly like to legislate for an EU referendum. As for lacking any thing bold and controversial; a revolution is planned for the private pensions industry in removing the annuity requirement, with pensioners given complete freedom to spend their pension pots as they like. Meanwhile changing trespass laws to allow fracking to take place without the landowners’ agreement sounds pretty controversial. But compared with the Coalition’s first year the range of possible measures do look a bit dull. But then we are told that David Cameron and his inner circle on taking office in 2010 took on board advice from Tony Blair’s autobiography, to reform early in the Parliament rather than leave it to later years. So what else can we expect? Legislating for the previously announced Tax free childcare scheme which will subsidise 20% of eligible families’ childcare costs up to a maximum of £10,000 for each child. While “emotional cruelty” towards a child will be made a crime for the first time alongside physical or sexual abuse. Public woodland transferred to an independent trust in public ownership following the model of the National Trust. Increasing the ownership of companies and tightening the law on the disqualification of directors. Clamping down on abusive zero hours contracts – barring employers which from not allowing employees to take on work elsewhere. Powers to force high street banks to refer small businesses to alternative lenders, rather than just being turned down. While it wouldn’t be a Queens Speech without some Home Office legislation. This time around the focus will be on serious organise crime. new duties (shared with other public bodies) on tackling slavery and trafficking as part of new framework on modern slavery. a ban on the use of wild animals in circuses – much sought after from the backbenches. Meanwhile existing bills on providing a new consumer rights framework (impacting on the work of trading standards) deregulation legislation (impacting on local authority housing, environment, planning and transport functions as well as on a range of business sectors) and on criminal justice and courts will be carried over to the new parliamentary session to complete their legislative journey. What seems to be missing is that defining issue; one which divides Government from Opposition or which changes the agenda for all parties, characterised by the recent introduction of caps on benefit claims and overall welfare spend. That is perhaps more likely to become evident, if at all, as the parliamentary session gets well underway; it is unlikely to fall from Her Majesty’s lips.